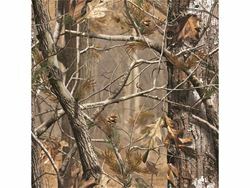 Looking to beef up your truck? Go for the "bolted" on look without the work. 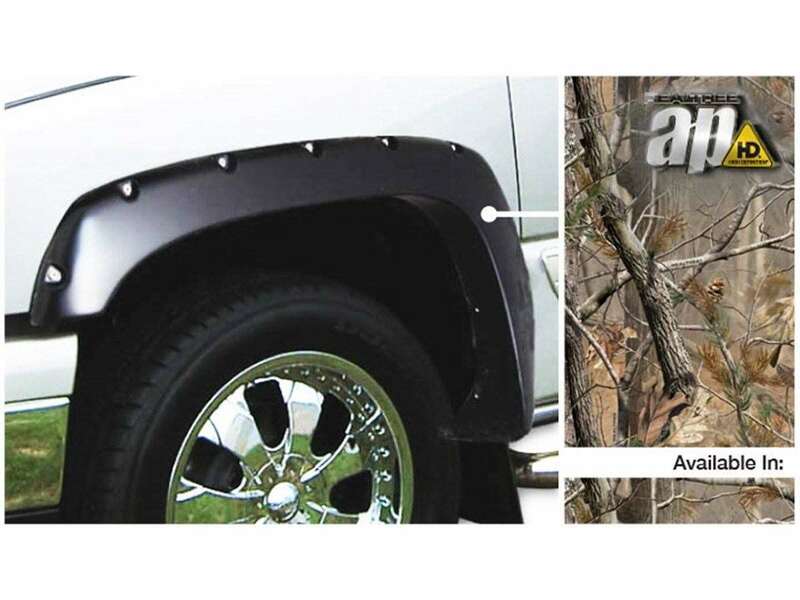 These Stampede Ruff Riderz Fender Flares are custom designed to perfectly fit your truck for a truely finished look. The tough, aggressive look doensn't require an extensive installation. They install quickly using factory existing holes and 3M tape so you can get down to business without having to drill into your truck. These fender flares are manufacturered from an extra tough Tri-Blend material that will not fade in the sun or crack in extreme weather conditions. 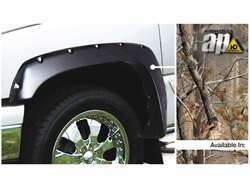 The ulitimate protection for your truck from rocks, mud and road debris, the Stampede Ruff Riderz Fender Flares are covered by a Limited Lifetime Warranty.